or go to http://janellejanish.myctmh.com to give it a try. I am so excited to announce that "Studio J" has arrived! Studio J is Close To My Heart's online digital scrapbooking studio. Studio J features CTMH's fabulous papers and layouts and is super easy to use. There is nothing to download, no software to purchase. You just need an internet connection and a web browser to use it. You only pay for the layouts that you purchase. A Studio J "layout" is actually TWO 12x12 scrapbook pages! 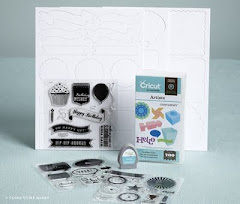 The price is a great deal as you are not purchasing paper, printing pictures, buying software or digital scrapbooking "kits" AND it saves tons of time. You first upload your digital photos to Studio J and then select an exclusive CTMH paper "packet" and layout. Then simply drag and drop your photos. You can easily re-size your photos or change them to black & white, sepia, etc. After your photos are in the layout, then embellish to your desire. There are lots of options, but it really is FAST and EASY to use. For a limited time, for every 5 Studio J layouts you purchase in a single order (that's actually TEN 12x12 pages), you’ll get free Memory Protectors® with your custom prints. Orders of 10 or more layouts get free shipping and handling as well. Create an account and get started today!